Having a good and sound sleep is one of the secrets towards a healthier lifestyle and happier disposition. People could suffer a lot with bad sleep. Some people have been reported to suffer from a headache and migraine due to the irregularities in their sleeping patterns. Are they really related to each other? 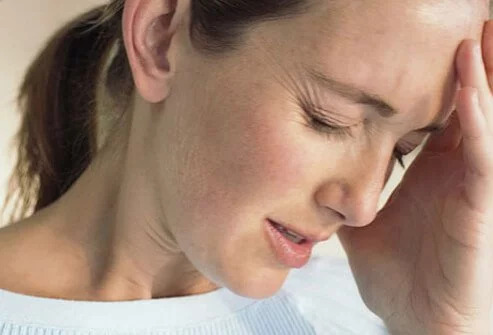 Read on and know the connection between sleep deprivation and headache. Why Does Sleep Deprivation Cause Headache? Sleep deprivation headache has been a common disorder that is experienced by most people. There have been reports of an increased incidence of this condition or disturbance. Several studies focusing on the relationship between sleep deprivation and headache have also been made. One research suggests that a person undergoes various sleeping stages during the night. Among these stages, REM sleep is the most important factor that is related to a headache. This is where the dreaming state occurs at around 4 to 6 times every night. During this period, migraine headache may occur. Moreover, cluster headaches could also occur. A migraine headache is suspected to be influenced by the combination of several chemical systems and different phenomenon that occurs in the brain. Although it still remains unclear, it is suggested that a decrease in the oxygen level together with transient hypertension occurs during sleep apnea. These factors are known to trigger the occurrence of headaches in the frontal area of the head, especially in the morning. Lack of sleep or those who slept for only six hours or less on the average are frequently experiencing more or severe headaches. A cluster headache is a one-sided headache that occurs in the sleep cycle. This is associated with the different sleep disturbances. At times, it occurs during the night and is accompanied by eye tearing and nasal congestions. Patients experiencing sleep apnea will experience this more. Can Sleeping More Help Reduce Headaches? • A person who is vulnerable to a headache and migraine should not sleep late nor sleep longer than recommended. The lack and an excess amount of sleep of a person may lead to more severe pain. However, some person may discover sleeping as a therapeutic help. • A person taking naps during the daytime may experience different results. Headache sufferers, especially adolescents, may find naps helpful in reducing headache pains. However, some people may experience an opposite effect. • Frequent daytime naps may restrict good and sound sleep during the night, leading to the occurrence of a morning headache. It is important to restrict times of daytime naps and reserve sleeping hours during the night. How to Relieve a Headache Caused by Sleep Deprivation? Relaxation exercises are an effective relief to headaches. This includes various techniques that will allow you finding the pressure points that are connected with headaches. Pressing these spots will help in stimulating the blood circulation especially in the legs, balancing the blood pressure, and releasing toxins present in the body. The best relief to a headache is to deal with its root cause, sleep. Be sure to get enough and quality sleep and to establish regular sleeping habits and patterns. People who are having difficulty in sleeping may seek help and advice from medical doctors or specialist. But be sure not to oversleep, as this may also trigger headaches. Use either hot or cold compress, depending on the needs in order to lessen the pain caused by a headache. Hot compress is used to give warmth to the body and to ease the tension of the muscles. This is recommended for headaches that are caused by anxiety and tension. On the other hand, a cold compress can reduce body temperature and lessen the blood pumping that causes a headache. Head massage can relieve the pain caused by a headache. This will improve the circulation of blood in the face and in the head. A good massage will apply pressure on the head, the scalp, the hairline as well as the back of the neck. The use of essential oils like peppermint can have a notable effect in relieving headaches and pain caused by lack of sleep. This method has been used for centuries in curing several ailments. Apply a small amount of the oil in the temple to reduce and even eliminate the pain. Be watchful of the amount to avoid any irritations and allergies in the skin. Water therapy is a good remedy to relieve sleep deprivation headache. The lack of sleep can lead to dehydration which will eventually lead to a headache. Drink a lot of water in order to regain the loss liquid in the body and to relieve the signs and pains caused by a headache. Have a breath of fresh air to reduce headache. This will soothe the tensions and stresses of the muscles that lead to headaches and pains. It will also help in diverting the attention from pain. Relax and breathe some fresh air as it is also good for the entire body.